Take one bowl, whisk yogurt ,powder sugar , pinch salt . keep it in refrigerator. Take one bowl , add mashed potato , sprouted moong , salt , red chilli powder , chat masala , fresh coriander leaves , mix well . keep aside . Make hole one side of puri , stuff potato mixture. 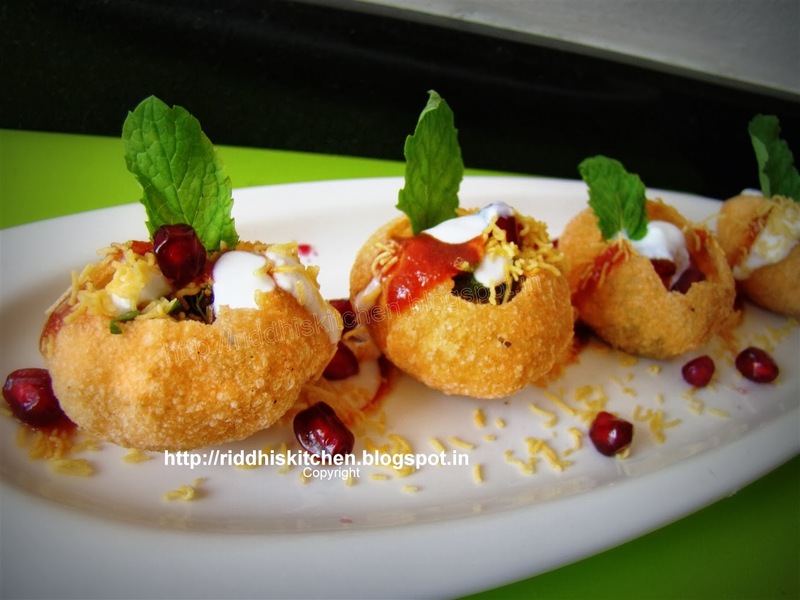 Do same process with remaining puris and arrange them in serving plate . Pour green chutney, dates and tamarind chutney and yogurt .sprinkle nylon sev , fresh pomegranate seeds . Garnish with mint leave and serve it .